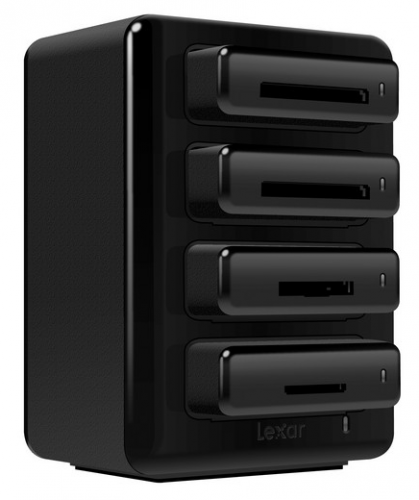 Lexar has a smart new card reader hub that allows you to have an easy, desktop solution for the variety of card readers we use today. The Lexar Professional Workflow HR1 connects to your computer via USB 3.0 and has 4 bays that accept Lexar SD, XQD and CF card readers. The card readers can be used when docked in the hub or as standalone card readers when you are on the go via USB 3.0 connections. When docked, the readers can be accessed simultaneous for a massive media import session. Of course, you can also switch them out depending on what your specific card type uses are at the moment. The hub retails for $79.99. The SD and CF card readers retail for $29.99. The XQD card reader retails for $44.99. You can find them all here at B&H Photo.